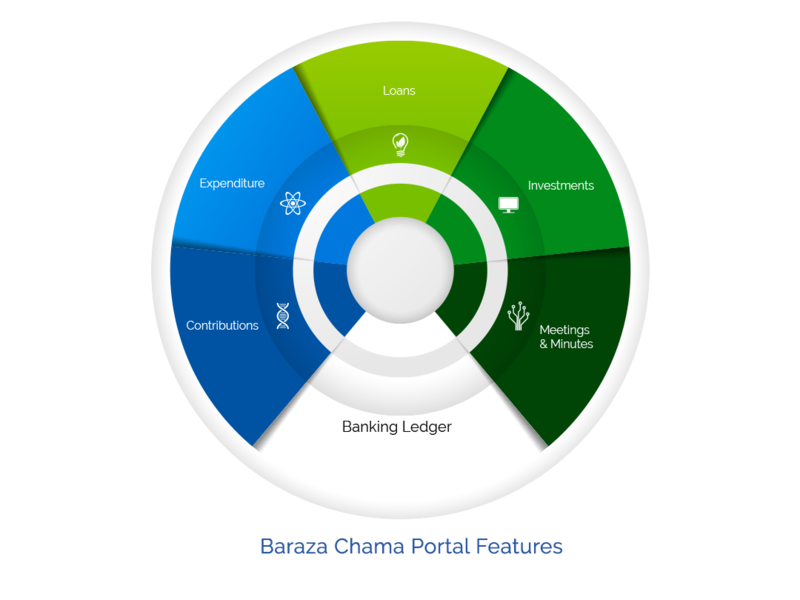 Baraza Chama portal is a web-based application that improves operations, collaboration bringing together Chama members online regardless of their geographical location and/or background. The system provides users with a platform to work and store their Chama material online; collaborate, share and execute Chama activities and investments at ease. The system returns financial reports in your Chama into a great and fulfilling experience and individual members of the Chama can track their financial position at any time and from anywhere.